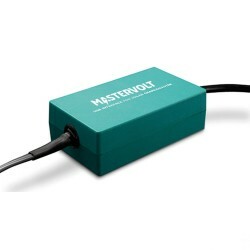 The ChargeMaster battery chargers&nbsp;are more suitable for recreational and&nbsp;semi-professional use. 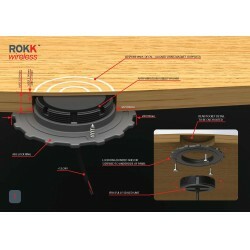 They are easy&nbsp;to install and include a detailed display&nbsp;and easy three-button controls. The&nbsp;ChargeMaster battery charger can&nbsp;charge multiple battery banks at once,&nbsp;providing the ease and comfort of&nbsp;combined functionalities. 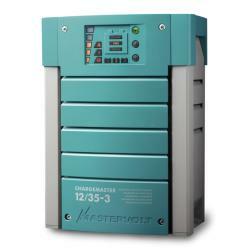 The ChargeMaster battery chargers are&nbsp;more suitable for recreational and semiprofessional&nbsp;use. They are easy to install&nbsp;and include a detailed display and easy&nbsp;three-button controls. 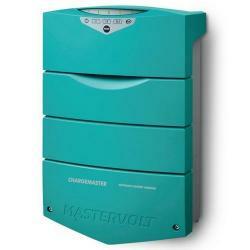 The ChargeMaster&nbsp;battery charger can charge multiple&nbsp;battery banks at once, providing the ease&nbsp;and comfort of combined functionalities. Mass battery chargers are more suitable&nbsp;for the tougher tasks in professional&nbsp;and semi-professional situations. These&nbsp;charger has one main outlet to optimally&nbsp;charge a battery bank and guarantee a&nbsp;long lifespan for your batteries even with&nbsp;daily and intensive use. The second outlet&nbsp;is used for maintenance charge of your&nbsp;starter batteries. With its integrated alarm&nbsp;functions and various certificates, the Mass&nbsp;is the best choice for professionals. For people on the move, the EasyCharge portable battery charger offers a rugged solution that can be used on the boat, car, motorcycle, and&nbsp;camper van. 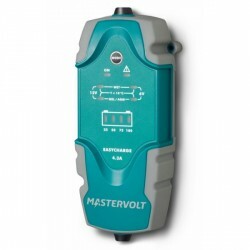 With a rugged, ergonomic construction and waterproof to IP65 standard, the portable charger have an intuitive control panel, and is&nbsp;available in 120V/60Hz and 230V/50Hz models of 4.3 A. Users can quickly select between 6 V (ideal for toys, classic cars and motorcycles) and 12 V operation. The unit include 1.8m of DC cable that&nbsp;connects to either a 61cm lead with ring terminals, or a 61cm lead with alligator clips, for easy installation and a variety of applications; both leads&nbsp;are included in the package. The battery charger have the ability to charge wet, AGM and gel batteries, with a universal input (120-230 V) for total worldwide freedom. The fixed-mount, waterproof units are fully sealed in an epoxy-filled, non-corrosive enclosure, and built to IP68 waterproofing standards, easily&nbsp;meeting global regulations like CE, CSA, CEC and ABYC. 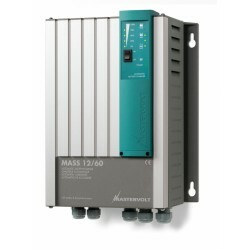 The outputs are completely isolated, and can be used in either series or parallel for&nbsp;higher voltage or current, including 12 or 24 V outputs. Highly efficient and simple to use, these chargers are designed for harsh environments and&nbsp;are fully salt, shock and vibration tested. Currently, 6 A single bank and 10 A dual bank types models are available. A key feature is the &lsquo;sense and send&rsquo; technology, which allows the chargers to detect which batteries need the most charge and prioritise&nbsp;accordingly. The battery chargers have the ability to charge wet, AGM and gel batteries, with a universal input (120-230 V) for total worldwide&nbsp;freedom. As photovoltaic cells generate energy when exposed to sunlight, they can provide a&nbsp;sustainable energy source to charge the batteries in your application. 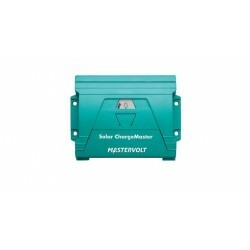 All Mastervolt&rsquo;s knowhow in the field of solar power has been included in the&nbsp;Solar ChargeMaster, which offers maximum efficiency from the often irregular&nbsp;availability of sunlight. The design provides a pure charge current in all conditions&nbsp;while the 3-step charging method ensures a safe charging process and a longer&nbsp;lifespan for your batteries. USB Interface and DataControl software for Solar ChargeMaster, for&nbsp;faultless communication between your PC and the Solar ChargeMaster. 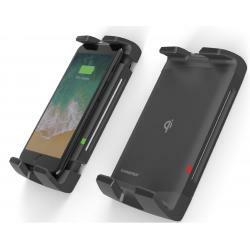 ChargeMaster Plus is the next generation of battery chargers that integrates multiple functions into one single device. Replacing auxiliary chargers, battery isolators and VSR, ChargeMaster Plus reduces system complexity and cost. Designed for versatility, it charges virtually any combination of three&nbsp; atteries in a fast and safe way and works anywhere in the world. Since 1985, SunPower has been leading global solar innovation. SunPower solar panels consistently deliver more energy and long-term peace of mind with the highest performing solar power systems available. SunPower is the solar energy choice of many boat owners, yacht owners, marine businesses &amp; homeowners around the world. SunPower&reg; flexible panels are lightweight and portable, so you can take them on your next outdoor adventure. Plus, these panels feature the highest-efficiency solar cells available which mean more power or faster charging times for solar compatible batteries. Designed for Life at Sea Incredibly space efficient, thanks to exclusive SunPower prime cells with industry-best 22-25% efficiency Lightweight design, easy attachment grommets Flexible up to 30 degrees Compatible with 12V and 24V batteries High Power and Flexible Made with SunPower&rsquo;s highest power back contact cells, SunPower&rsquo;s flexible panels deliver the highest power output and the highest charging capacity in their product class. 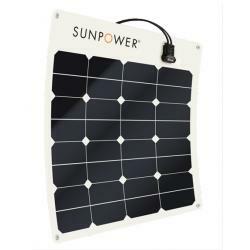 SunPower&lsquo;s panels are constructed with top-grade, lightweight polymer materials, allowing for easy transport, installation and panel flexing up to 30 degrees. Easy and Low-Cost Installation The panel can be installed with adhesives and/or use of stainless-steel grommets in the panel. The panels have standard quick-connect cables. An easy-to-follow installation guide is provided with each panel. 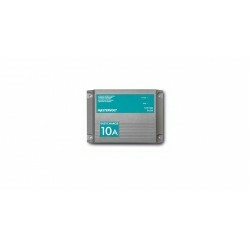 Warranty: 5 years limited power warranty of 80% of the minimum specified power rating. Designed in the USA. Assembled in France. Designed for Toughness The SunPower Maxeon&reg; Solar Cell is the only cell built on a solid copper foundation. Flexible panels made with SunPower cells are resistant to power loss via cracking and corrosion, unlike conventional cells, which are much more likely to lose power when bent or subjected to a moist environment. SunPower flexible panels are the #1 choice for customers due to the combination of high power and cell ruggedness. Totally Portable Weighing in at 5lbs, 46 inches tall x 22 inches wide, and flexible up to 30 degrees (110-watt panel), these portable solar panels can go almost anywhere.